It’s not always easy to find healthy food on both campuses of the university, but CSU’s popular cooperative café the Hive is back for a delicious year, as of Sept. 6. Over the summer, the café has been working to get approved for the Concordia catering list. Finance and administration coordinator Leigh Hoffman said that being added to this list means the Hive will be able to cater at events and further grow its business. With this opportunity, Concordia’s co-op café will be able to provide their food and space for their upcoming Concordia and Hive events. 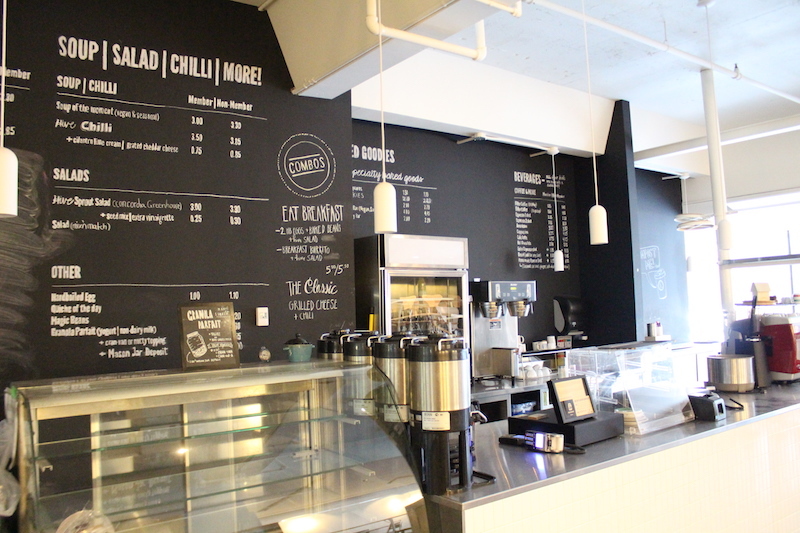 The co-op café is also revamping its menu. “We will have egg salad sandwich, grilled cheese with caramelized onions, green vegetables sandwiches, and of course our peanut butter cookies will come back,” said Hoffman. Hoffman also mentioned that customers will now have the option to have a life membership, at the cost of 5$.. This includes a 10 per cent discount on all products, and members can vote during the Hive’s general assembly. According to Hoffman, all their members have an equal vote at the general assemblies, and the co-op wants its members to have a say in the operation of the cafés through their meetings. It is a fun and engaging initiative that gets the members involved and creating committees. Right now, they have an art committee and a decoration committee—but they are always looking for more ways to encourage membership. These committees proposes how to decorate the Hive’s space, they can put up paintings on the walls, and also bring out plants for decoration. The Hive has also managed to become sustainable. The cafés compost, recycle and encourage students to bring their own mug for hot beverages. They both operate as non-profit cooperatives, and they are financially self-sustaining, according to Hoffman. For their upcoming events, the Hive will hold an open mic night, and a board games and trivia night during the CSU’s orientation. They will also continue their poetry nights later this semester. They will be continuing their free lunch program, which offers a free, vegan, nut-free lunch every school day at the Loyola campus between 12:30 p.m. and 1:30 p.m. Since the Hive is a co-op, students are in charge of cooking together to ensure that the meal is healthy and served on time. All students are welcome to volunteer at the Hive. Responsibilities include preparing, cooking and serving food, and cleaning at either location. The Hive can provide references for volunteers and they also encourage students to put the experience on their CVs. Students can visit the Hive at the Loyola Campus (2nd floor of the Student Centre building) and at the downtown campus (in the mezzanine of the Hall building).